More specifically in Sweet Home Alabama. According to Automotive News, Mercedes-Benz has picked the US state of Alabama as the location to build its upcoming Maybach SUV. Mercedes-Maybach is the uber-luxury wing of Daimler-Benz that intends to compete directly against VW Group’s Bentley and BMW’s Roll-Royce divisions. The new Mercedes-Maybach SUV will be based on the all-new third-generation Mercedes GLS platform and will carry a starting price of around $200,000. 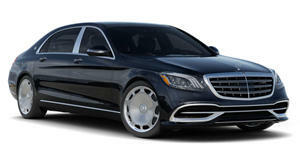 It will be the most expensive passenger car made in America. We also expect it will bear a striking resemblance to last year’s Vision Maybach Ultimate Luxury Concept, an SUV with a three-box design, a styling trait normally reserved for sedans. Not everyone was a fan, but the concept still served as an indicator that Mercedes-Maybach, typically quite traditional in nature, is seeking to reformulate its identity somewhat. We’ll see what happens when this new SUV debuts, which could happen very soon. Word on the street is that it'll premiere next month at the Shanghai Auto Show, exactly one year after the concept was unveiled at Beijing. But why build it in Alabama? Mercedes first opened its US production facility in the southern state back in 1997 to build the then-new M-Class SUV, which has since been renamed GLE-Class. The originally M-Class, first made famous for its appearance in "The Lost World”, was truck-based and lacked the overall refinement of today’s crossovers and SUVs, regardless of whether they’re classified as luxury. 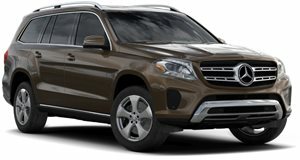 But Mercedes has continued to expand that Alabama manufacturing facility, which is also slated to build the next-generation GLS. Because of that, it makes perfect sense to build the Maybach variant there as well. Mercedes will also soon build a battery plant that upon completion will be twice the size of the original factory. Beginning in the early 2020s, the all-electric EQ-series vehicles will begin production there. But the fact that the Maybach GLS will be made in America instead of, say, Germany, speaks volumes for the automaker’s confidence in its US operation. The Maybach GLS will be exported to the world’s largest auto market, China, where build quality standards are very high among wealthy customers. It’s also a bold decision on Mercedes’ part due to the ongoing trade dispute between the US and China. Chances are an agreement will be struck soon. We’ll know more about the next GLS-Class and its Maybach derivative in the coming months.